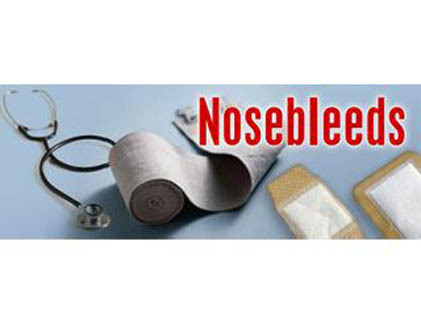 Nosebleeds, also called epistaxis, are common in children. They are caused due to a lot of reasons which includes dry and crusty mucous membrane, frequent nose picking, infection, dry or cold weather or frequent colds. • Make your child sit up straight. Avoid making him lie down as blood pressure in the head increases which makes bleeding harder to stop. • Ask your child to lean forward a little to avoid blood flow to the throat. • Remove visible blood and ask your child to blow softly to a tissue. • Pinch the nostrils with your thumb and forefinger and hold it for 10 minutes. • If the bleeding does not stop, take him to a doctor. • Prevent your child from picking his/her nose or playing rough games for a few days. • Apply petroleum jelly on the inside of the nose to avoid crusting. • Trim your child's nail to avoid wounds in the nose. So, the next time your child has a nosebleed, do not worry! Follow these steps and teach your child too!